Luxury Commercial Architectural Interior & Exterior Photography: Give allot of credence to having a great web site. Allot of my commercial work is garnered from clients finding me on the web. Its a combination of having rock solid work to show and a super easy to navigate website with contact information on each and every page. Can’t tell you how frustrating it is to hop on a web site want to by something or ask a question and have to dig deep for contact information or dig deep for how to even get in contact with the purveyor. A few weeks ago my buddy and talented photographer Paul Gero referred a commercial job to me. 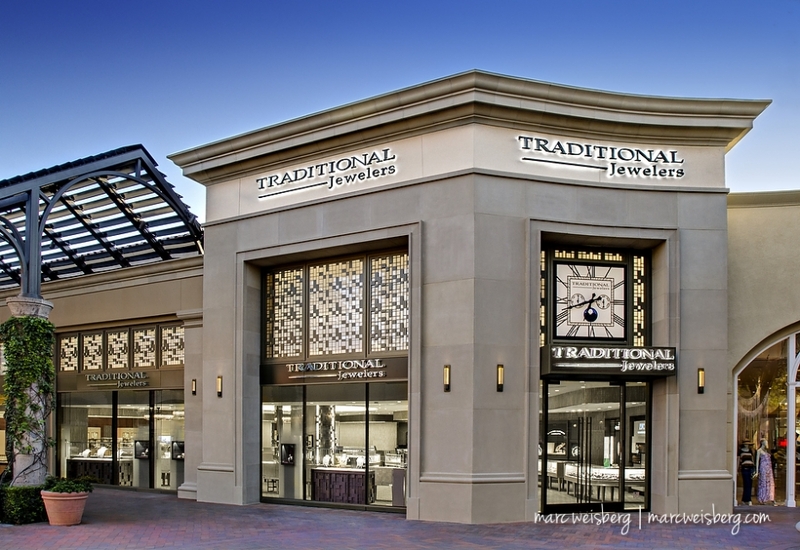 I was put in touch with the marketing director for Denver based Traditional Jewelers. 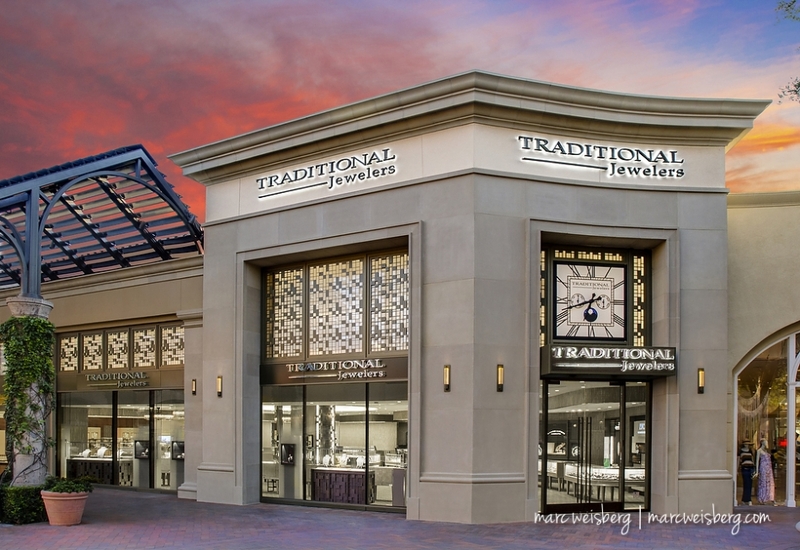 After speaking with their marketing director was commissioned to photograph Traditional’s brand new store in Fashion Island, Newport Beach. The shoot was quite complicated and required photographing with my team from 6:30 PM till about 2:00 AM in the morning. An armed guard was on hand because the store display cases were filled to the brim instead of whisked off to the vault. The images below are a complicated series of images shot over an hour, then a delicately massaged compositing of up to 10 different images and over four hours of post production and retouching. Its by far one of the most complex images I’ve put together for a Luxury Commercial Architectural Interior and Exterior Photography shoot and one of the most satisfying outcomes too.